Getting model releases signed and organized has always been a hassle for photographers and videographers especially when they ‘re on the move. Now “there’s an app for that” too! Now photographers can use their tablet or smart phones to get the releases signed and even translated on the go! Then you can have the Getty Images-ready release e-mailed to you in jpeg or PDF form ready for archiving. The releases even include a ID image so you can visually match the shoot to your images later on! 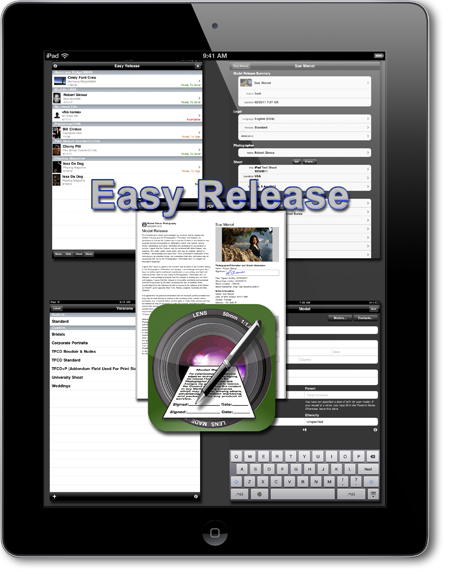 Easy Release by ApplicationGap replaces inconvenient paper release forms with a slick, streamlined model release app designed by professional photographers for professional photographers. via Model Release App : Easy Release by ApplicationGap : HOME.